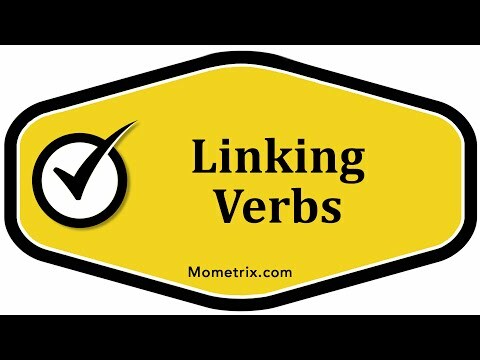 Linking verbs do not express action. Instead, linking verbs express a state of being. You have action verbs and linking verbs. Linking verbs are reserved for expressing a state of being. An example is, John was a doctor. “Was” here is linking verb, and it’s expressing a state of being, John being a doctor. Then, “The grapefruit is too sour.” “Is” is the linking verb here. Again, it’s expressing a state of being, because it’s describing grapefruit. In addition to “was” and “is” some other linking verbs are “am,” “are,” “were,” “be,” “being,” and “been.” A noun or an adjective is going to follow a linking verb. When an adjective follows a linking verb, it describes the subject. An example is: “This fruit is mushy.” We already know that “is” is a linking verb. We look at the word following the linking verb, and we know it has to be a noun or an adjective. We know that “mushy” is an adjective, and so it must be describing the subject. Sure enough, “mushy” is describing the subject, which is fruit. When a noun follows a linking verb, it renames the subject. Here we have, “He is a doctor.” Again, the linking verb is “is,” and the word following it is doctor. Then there are some other verbs in general that can sometimes act as linking verbs, like “appear,” “become,” “grow,” and “seem.” We have some verbs that can be either an action verb, or linking verb depending on their meaning in a sentence. Some examples are “appear,” “become,” “feel,” “grow,” “look,” “smell,” “sound,” and “taste.” Right here we’re using the verb “grew.” Here is an example of it as a linking verb: “Mary grew ill.” A linking verb is going to have a noun or an adjective following it. It’s the same word, but this time is acting as an action verb. Pretend for a second that it is a linking verb. We look at the word tomatoes and we see that it’s a noun, so it must be renaming the subject. Well, “we” and “tomatoes” aren’t interchangeable because, “we” and “tomatoes” are not the same thing. We know that “grew” here must be an action verb. You just have to base it off the context of the sentence when you’re trying to decide whether a verb is acting as a linking verb, or an action verb. When you come up to these words up here, these verbs are always going to be linking verbs. When you come to sense related verbs, as well as some other verbs, they can act as a linking or action verb.